When you plan to buy an insurance policy you have two options either buys through insurance agent who represents a specific company with limited number of offerings or buys through an insurance brokerage who offers you a wide range of offering from the different insurance companies. Client generally think, buying insurance direct from insurance companies provide more benefits, which is not true. · Loyalty: Broker represents you not the company and strictly regulated by IRDA. Brokers are able to sell you a wide range of insurance products from the number of insurance companies. While agent can sell you insurance products from one company. Here you have a choice to compare the different offering as per your need and choose the best available option in the market. · Professional: Brokers are organizations with larger wealth, which makes them possible to invest in people, processes and their client much better as compare to insurance companies. Brokers are much aware with the current industry trends in the market, because they have current updates of the carriers they represent. So they are more capable in providing the competent and skilled advice as compared to insurance agents representing the only one insurance company. · Trust: Brokers are licensed trough the Insurance Regulatory and Development Authority (IRDA). IRDA works with the mission “To protect the interests of the policyholders, to regulate, promote and ensure orderly growth of the insurance industry and for matters connected therewith or incidental thereto.” Brokers are required to meet the norms of IRDA. · Disclosure: Insurance Broker provides you with all the necessary information which you need to make a smart choice when you decide which policy is better for you. · Privacy: Brokers are under the regulations of IRDA; they have to follow some code of ethics. They have to keep client information confidential. Choosing an insurance brokerage means you are holding the hand of a professional which provides you the best policy for yourself and your family. Bajaj Capital Insurance Broking Ltd is an IRDA licensed composite brokerage which known for the excellent customers services. 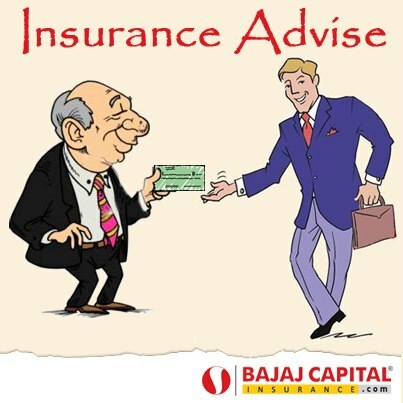 Bajaj Capital insurance provides online insurance portal which allow client to compare and buy insurance policies that meets their need best.